Hernia treatment often requires a surgical procedure during which the lump is removed and the walls of the tissue are repaired to prevent hernias from recurring in the future. 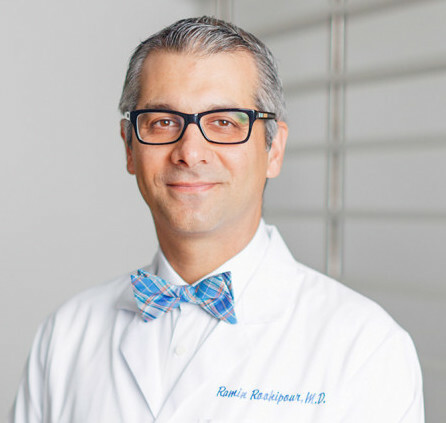 When it comes to surgical treatments, patients are not only looking for the best surgeons and facility but the best possible equipment and methods as well. Besides the conventional non-mesh surgeries, common trends have been the proper utilization of mesh. FDA defines mesh as a medical device is used to provide additional support to weakened or damaged tissue. Surgical mesh is a synthetic or biologic sheet used as either a permanent or temporary support for organs and other tissues during surgery. Depending on the type of repairing that is required, the kind of mesh can change. It can either be one in the form of a plug or a patch. The plug is placed in the hole, which is created, and the network is placed under or over the weak area. It acts as a support for the new tissue so that it can grow and come to cover the mesh properly. This surgical method has many benefits too. From reducing the chances of recurrence to evenly spreading out the tension in the operated area, mesh treatment helps with it all. Mesh is being used for the treatment of a hernia as early as 1900s but lately, the types of mesh used have evolved dramatically to meet the needs of the patients. This means that the current mesh available in the market are not only better but also safer with less drawbacks. The mesh in the market differ on the basis of their weight, densities, design, the type of material, which is used, and their tendency to get absorbed in the body. This type of mesh is made using the synthetic materials like ePTFEP ,TFE, and Polyester (POL) with polypropylene being the most commonly used materials of all. As per the demands of the procedure, the synthetic mesh need to be strong, have a high tensile strength, low weights, and densities. The synthetic mesh does not incorporate into the human tissue and causes an inflammatory reaction, which triggers the growth of new cells. The newer designs are being introduced which cause less inflammation and reduce recurrence rates as well. The synthetic types of mesh are most commonly used for inguinal repairs where the mesh is expected to retain its shape after the procedure has ended. Biological mesh (biomesh) are made from an organic biomaterial (such as porcine dermis, porcine small intestine submucosa, bovine dermis or pericardium, and the dermis or fascia lata of a cadaveric human).This type of mesh is eventually absorbed or incorporated in the body after the natural tissue has grown into the mesh. The biologic mesh cause minimal inflammatory reaction. They are ideal to be used in the contaminated area as they are more resistant to infection compared to synthetic mesh however, they have a higher recurrence rate as compared to synthetic ones. As the name suggests, hybrid mesh are a combination of synthetic and non-synthetic mesh properties. It triggers low inflammatory response and also reduces the chances of recurrence, which is one of the drawbacks of the biological mesh. Once the tissue has grown over the mesh, the hybrid mesh gets absorbed in the body in a natural way leaving very little synthetic material behind. 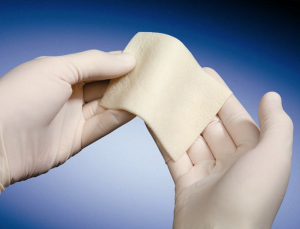 Zenapro™ from Cook Medical is a graft comprised of porcine small intestine submucosa (SIS) covering a core of polypropylene material. The device has been approved by the FDA for clinical use and is intended to be implanted to reinforce soft tissues where weakness exists. Indications for use include the repair of a hernia or body wall defect requiring the addition of a reinforcing or bridging material to obtain the desired surgical result. 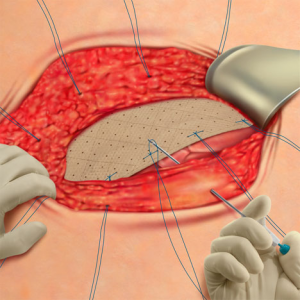 1- Do you use mesh for inguinal and ventral hernia repairs? Yes. In general a mesh is used to reinforce the repair. 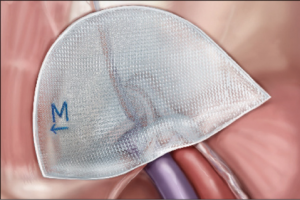 The use of mesh decreases the recurrent rate of the hernia. 2- What type of mesh do you use? These are only a few examples. The mesh that is/will be used for your surgical repair may vary. For more info please consult your surgeon. 3- Is my mesh recalled?